Grand Palladium Palace Resort Spa & Casino is set in an exceptional spot right on the sea front in the well-known Bávaro beach. 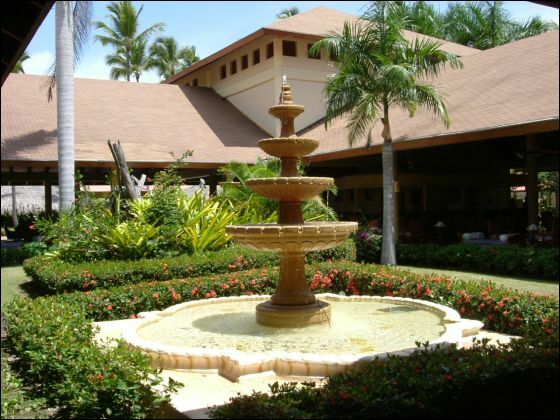 It is constructed on a 100,000 square metre site next to the neighbouring Grand Palladium Bávaro Resort & Spa and Grand Palladium Punta Cana Resort & Spa, and is surrounded by a coconut palm plantation and exuberant tropical vegetation. 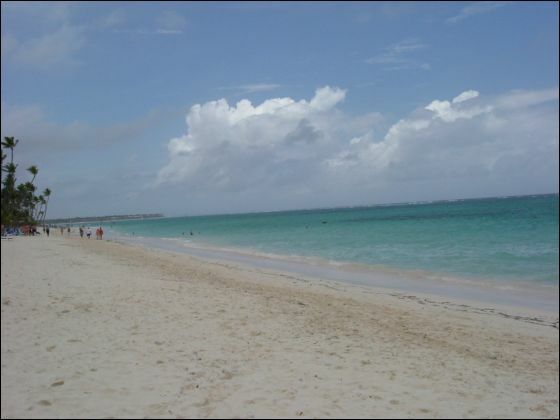 Only 20 kms from the Punta Cana airport, the hotel offers its guests an extensive beach of fine white sand. A coral reef lies near the shore where those fond of diving and marine life will find their dream. The Grand Palladium Palace Resort Spa & Casino offers guests a Cocktail Bar, two amphitheaters with bars, a nightclub and a luxurious Casino for unforgettable nights during your stay. International buffet style lunch and local specielties, BBq, salad bar, snacks and ice cream. Open air, non smoking. Exclusive for teenagers from 12 to 19 years. Open from 09:00 am to 12:00 pm. All guests of Grand Palladium Bávaro Resort & Spa are able to use all the facilities of the Grand Palladium Punta Cana Resort & Spa and Grand Palladium Palace Resort, Spa & Casino, with the exception of “The Royal Suites”. The flights: We were 45 minutes early getting into DR which was terrific, the flight home was right on time. Beach: Clean, beautiful, the color of the water was breath taking. Food: We found the restaurants better than the buffets. Neither my husband or I are fond of buffets. The breakfast buffet was better than the dinner buffets. We could always find something to eat so that was not a problem. All in all the food was decent but not terrific. Rooms: Our room was very nice but it did not have much of a view. Compared to the beauty of the resort and it is beautiful the view was disappointing. 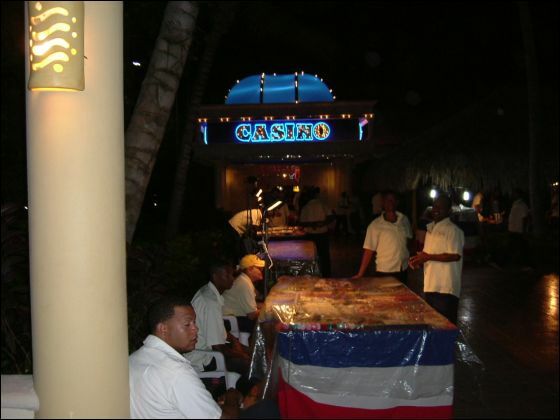 Entertainment: We did go to several of the shows, they were fun and did spend a little time in the Casino where we broke even so that was pretty good and entertaining. Just got back from Grand Palladium Palace! Here's our review! We would definitely return to this resort! 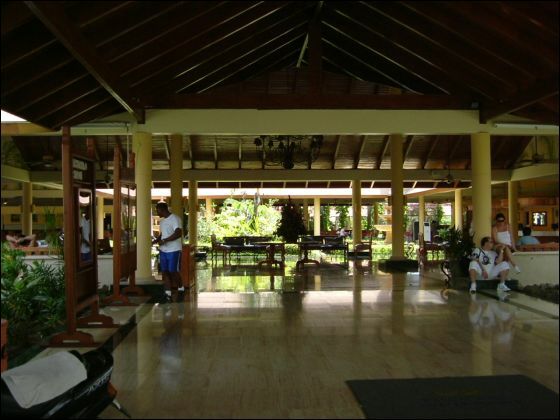 Food: Excellent - we've been to other All Inlcusive resort and the food here was GREAT! Rooms: We found the rooms to be fine and clean! Would you recommend this resort? Yes! I have already recommended your service to my family & friends! We look forward to booking our next trip with you! Thanks again for helping us plan our great family vacation! We had a great time as usual and loved the hotel. To start the transfers were good. We had a nice air-conditioned bus both ways. 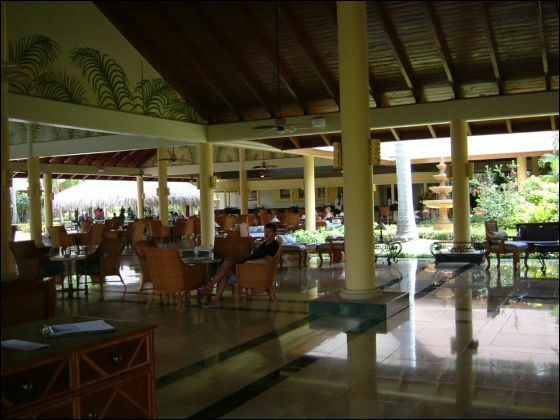 The drive from the Grand palladium Palace to the airport is 35 minutes. We loved our room. The loft suite was more than big enough for the 3 of us and we were only about 1/2 minute walk to the beach. We lucked out on the room because we were so close to the beach. The hotel itself was spotless and the beach was beautiful. As always we had no problem with the food and found it to be plentiful and good. We didn't really take advantage of the kids club because it tended to be mostly girls and my son didn't want to do it. He did love the pool and going to the bar to order his non-alcoholic pina coloda. We would definitely go back again. When you book the package are you able to specify a particular room number? Well we made it home ok .. Had a good time! OK... here are the pros and cons with the resort. Beach was awesome ... loved it which that was my top priority. Room was very nice and the resorts grounds were beautiful. Some workers were very friendly and others not so. This is a huge resort ..It took about 3 days to figure out were we were half the time. Didn't like having to walk ½ mile to and from dinner. Even though the train was running ever 15 minutes (really 30 minutes) we could rarely ride it because it was always full to capacity. I realizes we are in DR and you have to go with the flow and the unexpected, but there were a few power outages. One night the power went out and the backup generators were also out .. We are in total darkness. Except for my cellphone light. The pool was in need of some repair, and they were working on this. The swim up bar was missing a lot of the granite moldings. Swim up bar closed and had to be out of the pool by 7:00 pm. I feel by having a good vacation is more than just a really nice resort. It's also the people you meet and converse with and we met many. I guess when all said I would rate this a 7.5 of 10 and definitely would go back and of course use your service once again - as always we appreciate all that you did for us!